Satmodo is a satellite phone store based out of San Diego, California. We offer satellite phones and mobile internet solutions nationwide, for purchase or rentals. We provide service and equipment for Iridium, Inmarsat, & Globalstar. We are focused on making it easy and simple for you to get what you want, by providing you with the best shopping experience and knowledgeable staff to answer your questions 24/7. Are you going somewhere where there is no service? Maybe its hiking or camping. Or maybe its traveling overseas. Satmodo will keep you connected anywhere in the world! It all starts with the question, where are you traveling to? Satellite services differ from the location you are planning on using the communication device. Remember satellite phones are only as good as the coverage and reliability of the service. Satellite phones have become increasingly more popular year by year. They enable the everyday person to stay connected when traveling to remote locations where cell towers and data services are not available. Sat phones have been available for years but not until the Iridium network was launched did, they become a truly valuable asset. When Iridium satellite phones were first launched, they were offered at an unaffordable price. Recently sat phones have become more affordable and are an asset in all emergency kits and are an excellent backup to cell phone networks. When faced with a natural disaster terrestrial cell towers are the first to go down and all communication is lost. With the new affordable satellite phones, we are solving a century long issue. Unlike cell phones, satellite phones do require a line-of-site to the sky to obtain signal for the phone to operate. These phones will not work indoors such as a retirement home or a stateroom on a cruise. However, they will work on deck of or if you have a docking station and extended antenna they can be used indoors. Buildings, mountains, and heavy treed areas can affect the signal of a satellite phone negatively. If you are planning to use a sat phone for aviation, most pilots will use the Iridium GO! And place the unit on the dash of the plane’s cockpit so it can receive signal. When calling into a satellite phone from a cell phone it can incur heavy overage fees. We have created a quick work-around to ensure the cell users do not get affected by these overages. You have 2 options, you can opt in for the U.S. number on your monthly plan or you can use the two-stage dialing method. If you are wanting to text from your satellite phone to a cell phone it will have the same overages as texting someone in Mexico or Canada. Our work around for texting satellite phones is to go to the website https://messaging.iridium.com . Simply put in your email address, the satellite phone number, and your email. To read more about messaging Iridium phones click here. 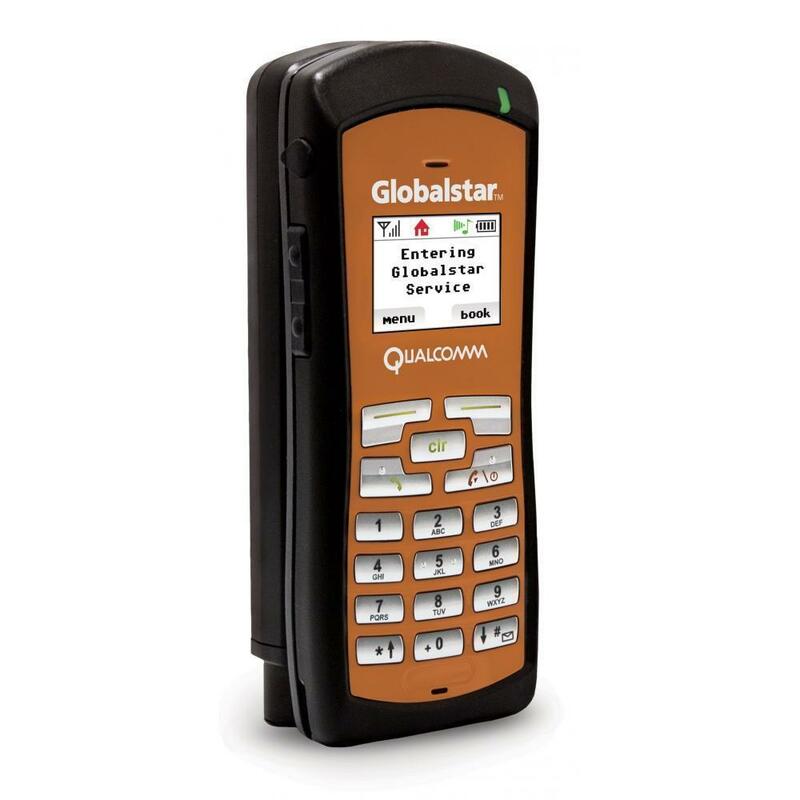 Globalstar GSP-1700 offers incoming texting but no outgoing texts. Inmarsat offers their service at a little more affordable rate. However, their coverage range is global minus the polar regions. The IsatPhone 2 is a talk and text satellite phone but also has built-in GPS receiver. To acquire a signal on the IsatPhone it can take some time due to the placement of the I-4 satellite and GPS acquisition. If you’re looking for the best network and the best phone look no further than the Iridium 9575 Extreme. This phone comes in as the most ruggedized casing currently available with an IP rating of IP65. Meaning you can drop the phone in a puddle of water and still be 100% functional. Some other features this sat phone processes is it has the ability to talk, text, send GPS coordinates, and has an SOS button. The Iridium Extreme works off the unparallel Iridium network for coverage and quality. What features do you need on your satellite phone? market-leading toughness — letting you take durability, reliability, and versatility with you in hand, all over the world. Iridium Extreme® satellite phone is built with the same reliable voice and data capability that users have come to trust from the only real mobile, real global satellite communications company in the world. But Iridium Extreme doesn’t stop there. Iridium Extreme satellite phone is engineered with an expansive feature set and a wide range of accessories, providing people with more opportunities to connect and keep in contact anytime, anywhere. Iridium Extreme satellite phone offers the fully integrated services of customization GPS, Online Tracking and Emergency SOS with notifications. More than a phone, it is a real mobile, real reliable tracking device with truly global coverage. handset is designed to easily go wherever your customers go. Iridium 9555 satellite phone is a dependable, ruggedly built tool, not a toy. It won’t play games, take pictures, or play MP3s. What it will do is work. Everywhere. It is engineered to withstand some of the world’s toughest environments, so the world’s toughest customers can depend on it as a critical lifeline whenever and wherever need takes them. In addition to all the features you and your customers have come to expect from our trusted satellite phones, Iridium 9555 satellite phone also incorporates an integrated speakerphone, SMS and email messaging capabilities, and a Mini-USB data port. It continues the evolution of satellite phones, making communication more efficient and effective for end users. out of the box, skipping the traditional learning curve. We offer flexible pricing for the Iridium pre-paid plans that fit your satellite phones. For custom plans please call (800) 279-2366.
monsoon rain. It offers unrivaled battery life – 8 hours of talk time and up to 160 hours on standby. Imagine being able to connect to the people and data that matter most – in the places and times that traditional communications don’t always work. The GSP-1700 satellite phone is the ultimate handheld portable satellite phone. Using the optional GIK-1700 installation kit, you can easily create a complete satellite phone system in your vehicle or vessel from the smallest car to the largest aircraft carrier. Antenna and cable length options were designed for ease of installation on land or sea – or simply use the phone hands-free with the optional industrial noise-canceling headset. Be heard with CDMA crystal-clear digital voice quality. Fast data speeds at 9.6 Kbps. Position Location Service – get your Latitude and Longitude directly from your Globalstar satellite phone. Enjoy locally based phone numbers where available. Can I use my cell phone to connect via satellite? Your cell phone can’t connect directly with a satellite network because it simply isn’t designed to do that. Optionally, you can use a device like the Iridium GO! to connect your smart phone or tablet to the Iridium Satellite Network. Your phone basically acts as your keyboard and screen, while the GO! connects you to the satellites. Why is using a satellite phone so expensive? Satellite Phone usage is more expensive than cell phones or landlines because of supply and demand and the billions of dollars required to develop, build, launch, and maintain these intricate satellite networks for the major providers: Iridium, Inmarsat & Globalstar. Satellite Phones are not illegal in most of the world. Some countries do ban them for political reasons, but this is the exception, not the rule. Iran has restrictions on many electronic devices, like satellite phones and drones. If you are planning to travel to Iran, it is recommended that you first contact the Iranian embassy or consulate to familiarize yourself with the regulations. Certain satellite phone networks were banned in the past and current laws are unclear. Please look into this before committing to a sat phone. Can I buy a satellite phone? Yes you can. We have all the best sat phone options available for you, regardless of your destination. Make sure to take a look at our selection. Please let us know if you have any questions. Can satellites phones be traced? It is possible. The government has every right to contact the satellite network to reveal the user identity. However, because you would purchase the phone through Satmodo Satellite Phones, the satellite network would simply tell the authorities that it was a Satmodo phone. What are good satellite phones for international travelers? The Iridium 9555, Iridium 9575 Extreme, Iridium PTT and Iridium GO! all operate and connect on Iridium’s global network which will keep you connected anywhere on the planet. These units are available for Rental or Purchase. Can satellite phone conversations be tapped? It is possible. It would take very specific information about the phone’s SIM card to work, but it is definitely possible. Can a satellite phone use WhatsApp? The standard satellite phones like the Iridium 9555, Iridium 9575 Extreme, Iridium PTT, Iridium GO!, Inmarsat Isatphone2 and Globalstar GSP-1700 are great for making & receiving calls, or sending & receiving text messages, and some can even send SOS signals and GPS coordinates. That being said… nope. They don’t work with WhatsApp. The right satellite phone can work anywhere on earth because the primary infrastructure is orbiting the planet and does not use any cell towers or repeaters to make the connection possible. Your connection is directly to the satellite in the sky. What are the uses of satellite phones? Satellite phones can be used almost anywhere for any reason. Many people use satellite phones in remote areas while traveling for hunting, hiking, fishing, off-road racing, and cruises. Satellite phones are critical for relief work in the event of a natural disaster, like a hurricane, wildfire, earthquake, or tsunami. Traditional communications, like landlines and cell phones, are often negatively impacted in these events, so a sat phone becomes the only reliable form of communication for the rescue workers and first responders rushing into these risky scenarios.